If your estate is taxable for state and/or federal estate tax purposes, then you'll need to decide which of your beneficiaries will bear the burden of paying your estate tax bill before receiving their inheritance. What Does Your Estate Plan Provide? Beneficiaries receiving a specific bequest or tangible personal property won't be charged with paying the tax unless all other assets have been used first. If you only have a Last Will and Testament, then the recipients of any non-probate property that are included in the value of your estate for estate tax purposes will pay their proportionate share of your estate tax bill. If you have a Revocable Living Trust, then the recipients of any property passing outside of your trust that's included in the value of your estate for estate tax purposes will pay their proportionate share of your estate tax bill. If you only have a Last Will and Testament, then the recipients of the "residue" of your estate (meaning your property other than specific bequests and personal effects) will bear the estate tax burden. If you have a Revocable Living Trust, then your Pour Over Will will provide that your estate tax bill will be paid out of your trust assets and your trust will provide that the recipients of the "residue" of your trust will bear the estate tax burden. Property passing outright to a surviving spouse or through a Marital Trust and qualified retirement plans won't be used to pay the tax unless all other assets have been used first. Assume that your taxable estate is valued at $4,000,000, your state doesn't assess an estate tax, you leave a $100,000 life insurance policy to your brother, a $50,000 payable on death account to your sister, a $10,000 specific bequest to your church, and the balance of your estate in equal shares to your two children. In this example the estate tax bill will also be $225,000 but it will be paid very differently since each beneficiary will be responsible for paying their pro rata share of the bill - your brother will be responsible for $5,625 of the bill; your sister will be responsible for $2,812.50 of the bill; your church won't be responsible for paying any part of the estate tax since gifts to charity pass free from estate taxes due to the charitable estate tax deduction; and your children will be responsible for paying the balance of $216,562.50. What happens if your brother and sister refuse to contribute their pro rata share of the estate tax bill? Then your Personal Representative or Successor Trustee can sue your brother and sister to force them to contribute, but your children will need to weigh the legal fees that will be associated with collecting $8,437.50 against paying the tax from their share. Assume that your taxable estate is valued at $5,000,000, your state doesn't assess an estate tax, you leave a $50,000 bequest to your niece, a $100,000 bequest to your sister, and the balance of your estate to your spouse who is a U.S. citizen. This is a tricky example because you need to remember the unlimited marital deduction - this deduction allows you to leave an unlimited amount to your spouse after you die without triggering any estate taxes. So in this example, your niece will receive $50,000, your sister will receive $100,000, and your spouse will receive the entire balance of $4,850,000 free from estate taxes. Of course, these are just some examples of what the typical language provides and you're absolutely free to choose which of your beneficiaries that you want to bear the estate tax burden. For instance, in the second example, the estate plan could provide that all taxes will be paid out of the residue so that the brother and sister wouldn't be responsible for contributing their pro rata share. You'll need to discuss all of your options with your ​estate planning attorney in order to determine what makes sense in your situation. 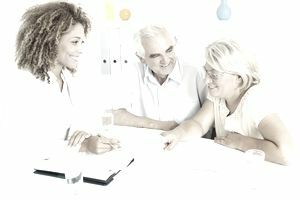 If you don't have a Last Will and Testament or Revocable Living Trust and your estate is taxable, then the payment of your estate tax bill will be governed by the laws of the state where you live at the time of your death and the laws of any other state where you own real estate or tangible personal property.